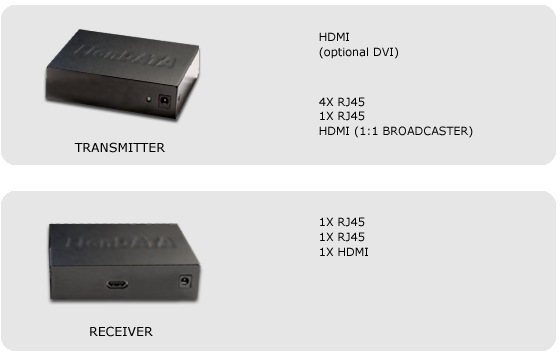 The LionDATA AVX Broadcaster HDMI is a high-end video broadcaster, which enables the digital transfer of audio and video signals to multiple remote monitors at distances of up to 200m (using a repeater function, depending upon the resolution) via CATx cables. Unlike other broadcasters in it series, AVX Broadcaster and AVX Broadcaster VC, the AVX Broadcaster HDMI also transmits audio signals digitally via CATx cables – a major plus for digital signage solutions, where high audio quality is important. The receiver has a repeater, making this digital signage system also fully cascadable.